, a leader in supply chain efficiency, accuracy, and connectivity, announces the speaker lineup for its Executive Forum 5. During the systems integrator’s fifth annual conference, more than 15 supply chain and mobile technology experts will share insights on best practices and proven strategies for driving efficiency, accuracy and connectivity. The Executive Forum is scheduled for Thursday, Oct. 8, 2015, at M&T Bank Stadium in Baltimore. In addition to a stellar speaker lineup, Barcoding’s Executive Forum 5 will feature live demonstrations, an exclusive Continuous Improvement Program workshop, a solutions showcase, executive briefings, and a networking breakfast and lunch. Also, during lunch, Barcoding will present its “Innovator of the Year” award, which recognizes a person and/or company who has implemented a mobile or automated data capture solution that has greatly impacted their business. 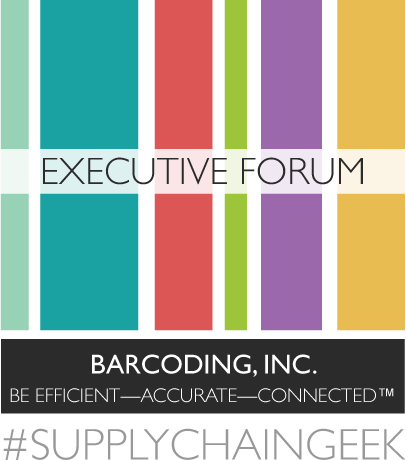 Registration for Barcoding’s Executive Forum 5 is now open. To register, or to obtain additional information, visit: http://www.cvent.com/d/1rqppt.